- Mixing equal parts Extra Virgin Olive Oil with equal parts Aloe Vera gel for a deep conditioner. - Apply Aloe Vera Gel as a leave in and seal it with you oil of choice, such as coconut oil. 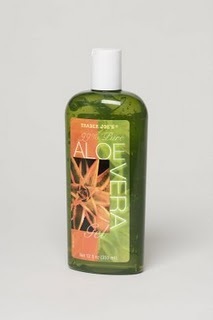 This will lock the aloe gels moisture into your hair. - Aloe gel mixed with vegetable glycerin, any essential oil and coconut milk can be used a no-poo or co-wash.
- Aloe Vera mixed with Castor oil is great to oil the scalp for help with growth. How do you use your Aloe Vera Gel? What benefits have you seen? I love aloe-based products, such as the Giovanni Direct Leave-In. Thanks for this post. Aloe Vera plant is also called “Miracle Plant” as it has thousands of benefits. That’s why Herbi® followed several years of research and tests, discover the way to filter and preserve its extract (Gel) in its pure form. And finally launched the 100% pure Aloe vera gel in the market, and receiving appreciation from its consumers. I wash my hair with pure aloe gel and water and all I pay is 1 dollar for something that lasts me over a month. I purchase a leaf which is 100% aloe and has no added chemicals. And i keep it fresh by storing the whole leaf in the fridge. This product is expensive and and superfluous – don’t buy it! I use it in my homemade shea butter mix to moisturize and twist my hair – Shea butter, castor oil, coconut oil, aloe vera gel (the food grade one with the consistency of water). I also use it as a spritz (straight or with water) to moisturize my hair. I add it to my conditioners to help with detangling. How are you able to mix Aloe gel with vegetable glycerin, any essential oil and coconut milk to make a shampoo? Which of these acts as the actual cleanser? Does aloe vera help your hair grow or castor oil…or both?? Aloe gel balances the pH of the hair and cleanses the pores. Its used as a no-poo replacing a shampoo. So if you are a fan of co-washing than this can be used in place of that. 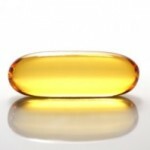 Both castor oil and aloe gel are reported to aid in hair growth. So you can mix both or use them separate. I hope this helps :). Wow! My mom comes from the Caribbean. When I was younger I mentioned how the rastas from her island had super healthy looking dreads and asked her what do they do. She told me they use straight aloe + water to wash their hair. Hmmm… I need to try this out. What brands do you all use? Where do you get them from. I usually use the juice that needs to be refrigerated but will be working a summer job staying in dorms and need an alternative. I use aloe gel as…a gel, lol. I’ll use it in place or with other gels. It has a nice soft hold. I’ve used aloe vera as a detangler/pre-poo (when mixed with oil) as well as an addition to conditioners(leave in, rinse out, DC), shea butter mixes and henna mixes. I have low porosity hair and want to know if I can use Aloe Vera gel after applying my Giovanni direct -leave in ? I used it so many times, and always it given a perfect result. 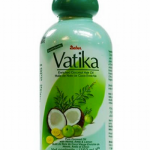 It prevents excessive hair loss, also most vital benefit is it balances pH level of hair. Which recipe you’re talking about? Can I ask what the actual measurements or portions are for the aloe, glycerine & coconut milk co-wash recipe is? I experimented a bit myself… I tried using equal parts aloe and coconut with a teaspoon of glycerine and ended up with super greasy hair! Then I tried 1/2 cup of aloe with a teaspoon of coconut *water* instead of milk and no glycerine, and it was much better. i mix aloe gel, evoo, veggie glycerin and peppermint oil to make a moisturizer i use on dry hair . whenever i need a serious moisture infusion in between co-washes, this is my go-to mix. i actually mixed it up because i couldn’t find anything that worked for me otc and i was tired of spending loads of cash with no results. now i can’t live without it! hi, can u tell how it works in shea butter? i had been using lily of the valley, food grade avg that you can drink but i mistakenly bout the kind that can sit on the shelf, it says 100percent and its by fruit of the earth? do you think this will work? 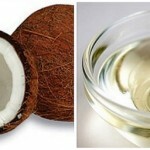 2 tablespoons of coconut oil or evoo (what ever oil you like). I lost about 40% of my top-scalp hair when I was 20. At the time, I had my first eczema outbreak, and later learned that my thyroid needs assistance, my ovaries need assistance, and my gallbladder was bad. I just had the last three taken care of and am in the process of leveling out all the hormones. However, my hair still hasn’t grown in. There is new growth, but the follicles are thin and baby-hair-like. I was told to try this for the acidic issues I have bc of the lack of gallbladder. Has anyone had anything similar, and has AVgel ingestion/application helped? Has anyone had anything similar, and has AVgel ingestion/application helped hair? My hair used to be so thick I HATED it. Now it’s so thin, I hide it. My “locks” are breaking off in the front. What do you recommend to keep locks healthy and strong. I also want to avoid dryness. I use oil but I may not be using the right one. Scalp is very sensitive. 1. you mentioned that your “gallbladder was bad” and had it removed. Your gallbladder is an organ in your body that stores bile, which breaks down fats. It is very necessary, that is why God created you with one. You may have had bile and liver stones, which you could have easily “flushed” from your body using a simple recipe. 3. you said that you use to have thick hair and “hated it”; well, if when you had thick hair, your complained and stated that you hated it, your very words condemned you! “Death and life is in the power of the tongue, and they that love it, shall eat the fruit thereof”. That is a quote from the Bible. You will have in life, whatever you say. As hard as it seems to believe, YOU attracted hair thinness, and Lord knows what other dis-eases, to yourself, because of your own words. Think about it. Aloe vera gel is best gel…..